I don’t drink many Rieslings, mostly because I’m not a huge fan of sweetness in my wines. Rieslings are however considered to be amongst the greatest age-worthy white wines, and they aren’t always very sweet, if at all. 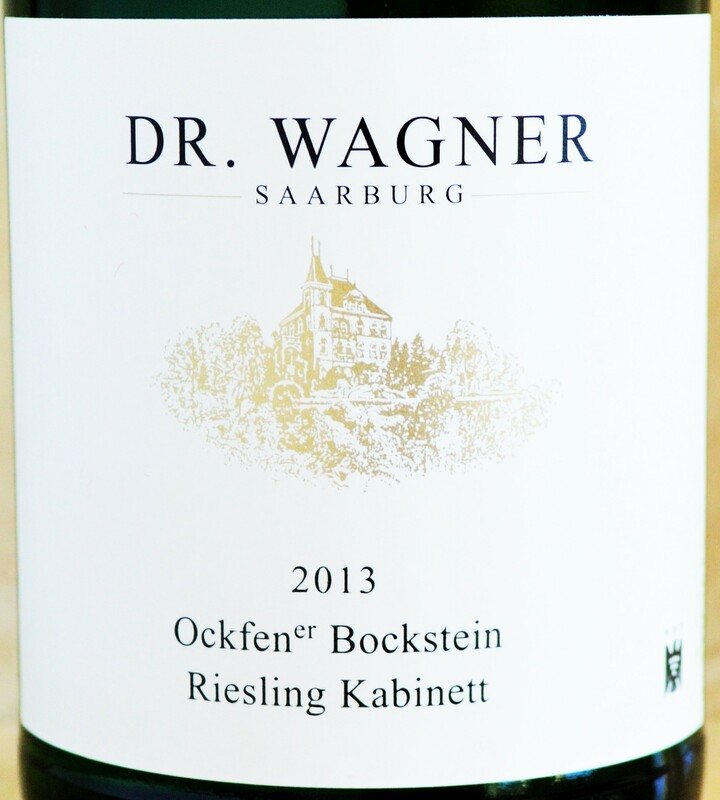 I very much enjoyed a Riesling recently while visiting Long Island Wine Country at Paumanok Vineyards so when I spotted the Dr. Wagner Riesling Kabinett at my local Costco I decided to give it a try. The German wine classification system can be a confusing one. While they describe it as a quality scale, this is misleading as it actually refers to the ripeness of the grapes when they are picked. The level of ripeness has a great deal to do with the body of the wine and the sugar content of the grapes. The finished wine may be produced in a dryer style however, even if the grapes are quite ripe and high in sugar content. 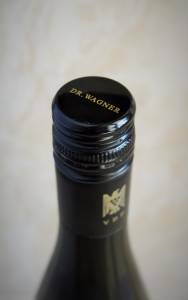 The Dr. Wagner Riesling is a ‘Kabinett’ level wine, meaning that the grapes are picked at the lowest level of ripeness on the German scale. This typically translates to a finished wine that has a lighter body, less residual sugar, lower alcohol and high acidity. These attributes are what make Kabinett Riesling so great to pair with food, especially seafood and shellfish. Nose: The flinty nose reveals subtle citrus; predominantly lemon along with wet rock. On the palate: Light bodied, the crisp acidity keeps the off-dry to medium level of sweetness in good balance. Notes of lemon peel and grapefruit are complemented by a nice mineral component. Should you buy? The Dr. Wagner Riesling is well-made and tough to beat at this price. Its a terrific upgrade over the ubiquitous Chateau Ste. Michelle Riesling. After tasting the Dr. Wagner Riesling Kabinett I’ve vowed to try more Rieslings. This particular specimen is produced from 30 year old vines in the Mosel and I really like it’s mineral driven character. It’s also a pretty solid value at Costco’s price considering that it sells for closer to $20 at most merchants. But it is still a touch too sweet for me personally, although I think most people would find this pretty appealing as the acidity really does a great job of keeping the sweetness in check. With that being said, I look forward to tasting more Rieslings and hopefully exploring those that are truly bone dry. 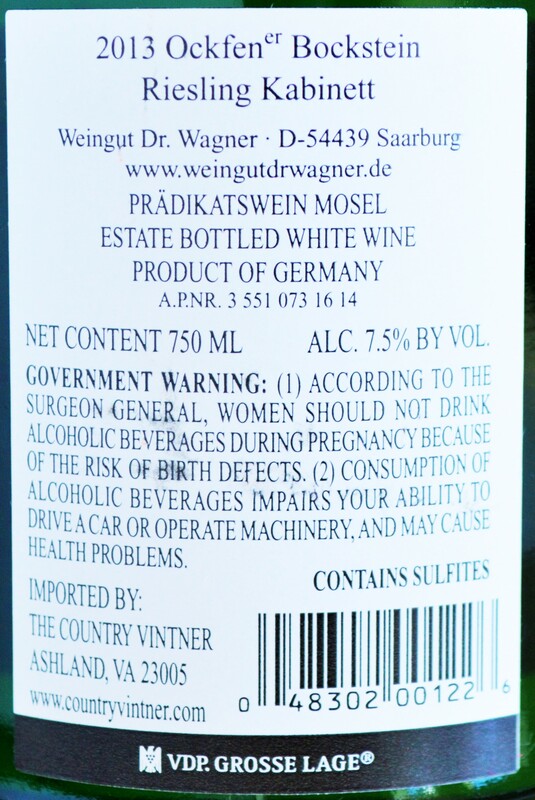 If you don’t mind a touch of residual sugar, then give the Dr. Wagner Riesling Kabinett a shot. If even I can enjoy it considering my major aversion to sweetness then Dr. Wagner’s Riesling is a winner in my book! 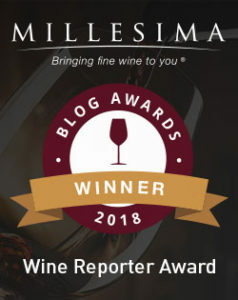 This entry was posted in Between $10 and $15 | Reviewed, Costco Wines - Reviewed, Still White Wines, Under $100, Under $15, Under $20, Under $30, Under $50, Under $75 and tagged Dr Wagner Germany, Dr. Wagner Wine, Mosel Riesling, Moselle Germany, Moselle Riesling on October 10, 2014 by The Fermented Fruit.